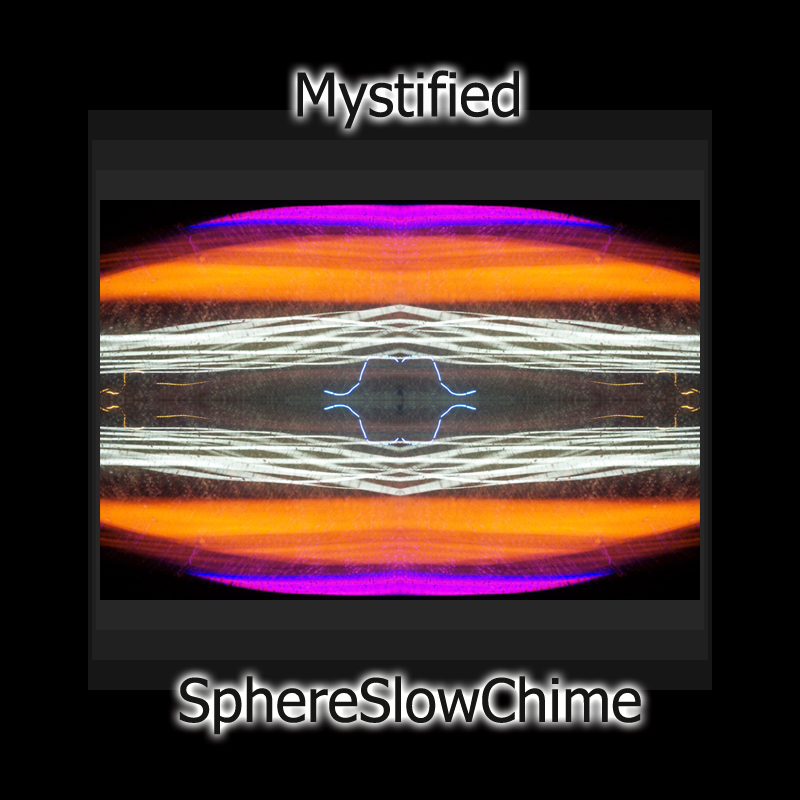 Bizarre and immensely slow, Mystified’s (Thomas Park; see also this review) album “SphereSlowChime”, released on Webbed Hands Records, with its hour-long duration, is sure to captivate your mind. In fact, fractal generation methods with the use of the sphere geometry was implied in the process of creation of this piece. Wind chimes, reverberation, and a talent of the artist are the fundamental constituents of this sonic environment. Indeed, while listening to it, some impression of rolling motion or rotation is occuring, as if it is the acoustic waves from the huge metal cylinder, or ball, revolving in different planes, thought later, in the process of listening, you can hear more sources of this sound. I must say, that this simple and understandable track give rise to great variety of associations and inner pictures. So, rotate the magic sphere with Mystified. This entry was posted in Uncategorized and tagged ambient, drone, Mystified, Thomas Park, Webbed Hand Recordings. Bookmark the permalink.